The Ethnic Communities’ Council of Victoria (ECCV) is partnering with the Ethnic Communities’ Council New South Wales (ECCNSW) on implementing the ‘Speak my Language – on air conversation about ageing well’ program in Victoria. The ‘Speak my language’ will deliver a structured 6 -12 weeks aged care radio broadcast program through ethnic community radio stations in 23 difference languages within Victoria. A significant cohort of culturally and linguistically diverse elderly population in communities are unaware of the aged care service provision and support due to isolation, language barriers, cultural barriers or poor information flow. This program aims to empower culturally and linguistically diverse seniors by delivering key messages and information about Australia aged care system in a language that they speak through radio broadcast. This will also raise awareness amongst the multicultural elderly population of the importance of planning for their future care needs to support them to be active participants in decisions around the care services they receive. 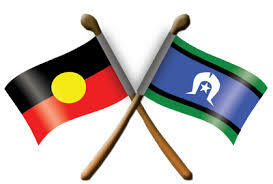 ECCV will be engaging with community organisations to deliver this program. The Speak My Language program is funded by the Federal Government, proudly brought to you by ECCV, ECCNSW, Diversicare, SBS and NEMBC. From 16 August, every Thursday, 10am -10.30am, for 6 consecutive weeks,. 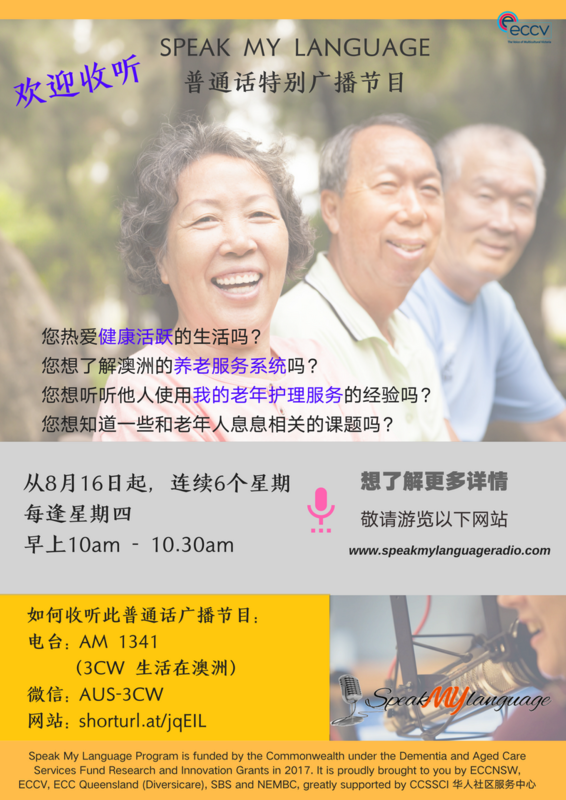 Listen to Mandarin Bilingual Facilitator Henry Liu from Chinese Community Social Services Centre, a guest speaker from the aged care field and a 3CW radio host. In the Mandarin language the team will talk about My Aged Care, healthy ageing and best tips on how to aged well.